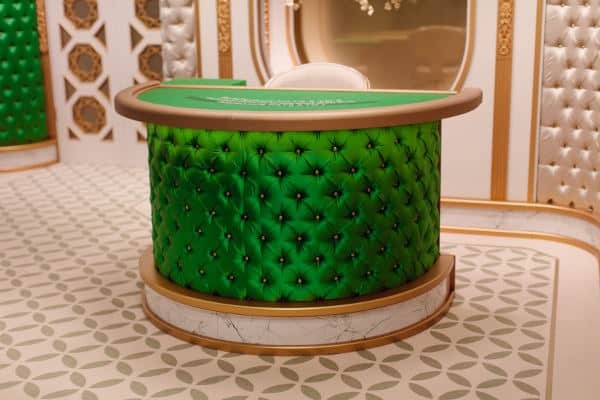 Evolution Salon Prive is a new concept for Evolution Gaming but not one for the gambling industry in general. Salon Privé tables and playing environments have been around for a long time. Just go into any Las Vegas Casino and you’ll see the Private Salon areas, reserved for the very best VIP’s and high rolling players. Evolution has now recreated this online, with a special range of tables, solely for the use of VIP’s/High Rollers. They are not the first to offer this type of personal gaming. It’s been around for a few years at Playtech live casinos, but not quite in this format and with this level of attention to detail. Basically the Evolution Salon Prive is a new, super-elegant, high-end VIP environment. 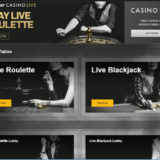 It offers high minimum and maximum bets with the ability for players to control play at single-player private tables. 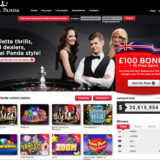 There are 5 single player Private Tables – 3 Blackjack and 2 Roulette. The tables appear in the playing lobby and if they are free you can join one if you can meet the minimum playing requirement. 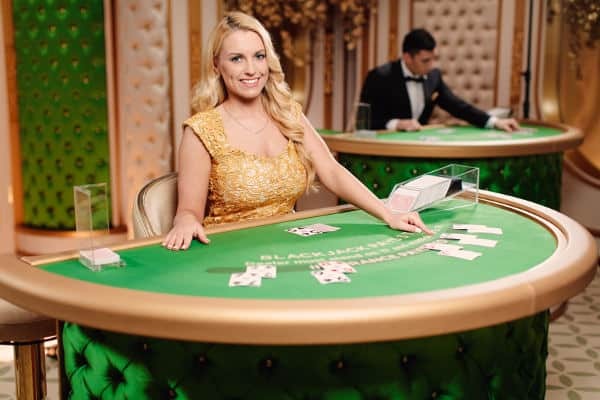 The minimum entry to tables is €1,500 a spin for Roulette and €2,000 a hand on Blackjack. This can be adjusted up by the casino but not down. Other players will not be able to watch your play. Players will be able to exercise control over the dealer, ask for a change or retain the existing one. The player can request a shuffle at anytime. Deal times can be controlled through the Deal Now/Spin Now buttons on the playing interface. Only the best Male and female dealers are provided at the tables. There is a VIP Room Manager present at all times and they are available to resolve any issues immediately. It’s unlikely that I’ll be playing on these tables, unless I win the Lottery or perhaps one of the progressive jackpots at Evolution Casinos. This is a natural extension of the playing environments and I’ll be interested to hear how the tables and environment get on. 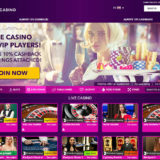 It’s more exclusive, so will certainly suit players that like to bet big or want privacy when they are playing. The fact that the player can control elements of the game will also be a draw. For me this is a real VIP Experience, much more so that the numerous VIP tables we see in the lobbies which are quite often empty. If you want to be one of the first to try it then Unibet, William Hill and Leo Vegas. The lobby shows the tables, but you can’t access them unless you have a minimum balance of £6000. When the player joins the table they get a nice reminder of what’s available on the table. Watch me play a few game rounds on the tables while I was at the ICE 2018 Conference. Apologies in advance for the shaky video quality as I was using my Mobile phone to record the action on the screen. Anyway it gives you an idea of what game play is like and a chance to see what high rollers will experience.